Momiji’s Education and Fitness program has attracted a wide variety of talented and gifted instructors since its inception in 1994. Unfortunately far too many to mention, but we are delighted to offer a brief description of a partial listing of instructors. Hi Sook is a professional watercolour painter of florals and landscapes in an impressionistic style and her works can be found in private and corporate collections throughout the world. Her more than 20 years of teaching throughout the Durham Region has been highly recognized and she is an elected member of the Canadian Society of Painters of Watercolour (cspwc). Hi Sook has participated in numerous group and solo exhibitions where her works have been displayed and honoured. Toni has over 20 years experience in fitness, health and wellness. 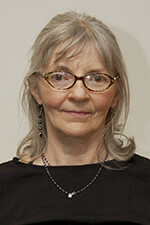 She obtained her humanities training at Ryerson University, in the Bachelor of Social Work program. Her passion and commitment for helping others achieve optimal fitness, health and lifelong wellness led her to further her education in fitness and health. Her current certifications include: Personal Trainer Specialist, Canadian Fitness Professionals Association; RYT-200, Yoga Alliance; Pilates, Stott Pilates; indoor cycling, Schwinn; TRX; and Sport Conditioning Coach (Twist). Toni also delivers workshop presentations in health and wellness to corporations and small groups. Melinda has been painting and taking private art lessons for over 35 years. In 1996 she graduated top in her class from the 3-year Arts Program at the Art Centre in Toronto. 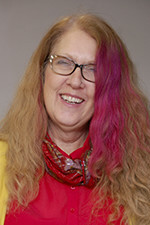 She taught visual art to gifted children through the Board of Education for six years, photography to adults for the Toronto District School Board (TDSB) for five years, Art classes for teachers at the TDSB and is presently teaching watercolour and drawing classes privately and to groups in the community. Melinda’s photography and paintings are in private collections across Canada and the U.S.
Margaret is a Toronto fine artist, working primarily in digital media. The female face and form and what it means to be a woman inspire her artwork. She combines realism, surrealism and abstraction to merge her subjects with their surroundings. Margaret exhibits limited-edition prints of her original digital paintings in juried shows and arts festivals in Toronto. Prior to taking up digital art, Margaret worked in graphite, ink and acrylic paint. She also worked as a graphic artist and currently instructs painting and drawing at Cedar Ridge Community Centre, Cedarbrook Community Centre and other locations to people of all ages and abilities. Al is a graduate of the Computer Business Applications program at The Toronto School of Business. He completed multiple Microsoft Application courses with the City of Toronto and taught computer classes to seniors in the City of Toronto Recreation Department. During his time at W.E. Compute in Highland Creek, Al taught computer classes to seniors, adults and children. He also offered summer computer camp courses for children including Power Point presentations. Al has had an opportunity to teach classes directed towards disadvantaged families. 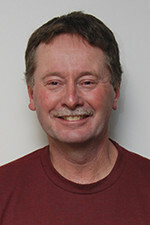 He has been teaching a wide range of courses at Momiji for the past six years. Jayna started her love for dance at a very young age and has been dancing ever since. She has had extensive training in several styles of dance, including jazz, modern, ballet, ballroom and Latin, and holds a university degree in dance from Ryerson University and is a certified Zumba and Zumba in the circuit instructor. Jayna has been a finalist in many latin dance competitions (pro bachata division at the Toronto Bachata Festival, the Toronto Salsa Festival and Canada Salsa Congress) and has performed at many events in Canada. Throughout her 15 years teaching, Jayna provides her students with attentive coaching, and knowledgeable lessons in a fun and relaxed environment. Dawn learned to dance before she learned to read. 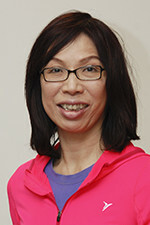 Her training ensures her classes minimize injury and maximize learning and is accredited in: American-Style Ballroom Instructor Certification; Zumba® Basics 1, Basics 2, Kids, Kids Jr.; Toning (weights), Gold (including chair) Licenses; YogaFit Instructor Training; and Canadian Fitness Professional –FIS certification. Dawn’s classes are inclusive and great for beginners of all ages (toddler, children, youth, adult, elderly and physically challenged). She starts with the basics and layers on complexity to keep classes interesting and fun. She especially loves the faces of self-proclaimed-non-dancers as they chacha or hip-hop the first time. Valerie is trained in many types of dance and is a certified fitness instructor. 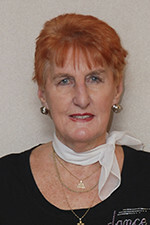 In addition to teaching line dance since 1985, she worked for the City of Scarborough’s recreation department in administration, training and placement of fitness staff. 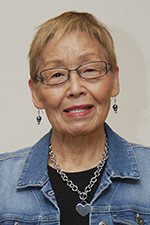 Valerie keeps her skills up-to-date by attending line dance workshops in the U.S. and Ontario. She has led groups in support of the Canadian Cancer Society, Rotary Ribfest and others, as well as teaches at private functions. 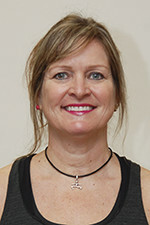 Jana has received her Yoga Teacher Certificate from The School of Raja and Hatha Yoga in Toronto and completed three levels of Therapeutic Touch at Toronto East General Hospital. She studied with renowned yoga teacher Marie Paulyn and has attended workshops with many well known international teachers and Master Classes in Europe. 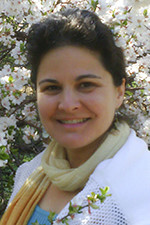 For the past 15 years Jana has been teaching yoga for the City of Toronto and for 10 years at Momiji. During this time she also started the Yoga Program at Variety Village, and teaches at a number of fitness clubs and conducts private classes for individuals. Lynda is certified through Can-Fit-Pro as a Fitness Instructor Specialist and through Schwinn and Reebok for her Cycling certification. She is also certified to teach P90X Live and has received First Aid and CPR Training. Lynda continually attends workshops and conferences staying current in the fitness industry. She feels that it is important to keep her classes fresh, exciting, challenging and safe while encouraging members of all levels to participate. Her personal passion and zest is for group fitness and excels at motivating participants to achieve their health and fitness goals. Anita’s love of dance, movement and singing has been central in her work as a teacher and holistic health therapist for over 30 years. By age 23, she completed her Honours B.A. and M.A. in Theater (University of Toronto), and Artist in the Community B.Ed. in Theater and Visual Arts (Queens). Anita has also completed a YMCA Fitness Leadership Certificate, specializing in the Building Better Bones program for Osteoporosis Fitness. Tai Chi became part of Anita’s life during the 1980’s when she began her training at the Taoist Tai Chi Society, Microcosmic Orbit Meditation with Master Mantak Chia, and Radiant Lotus Qigong for Women Certification with Daisy Lee. For the past 16 years Anita has been offering private sessions and workshops in Tai Chi, Qigong, Meditation, Sonic and Intuitive Healing. Twenty years ago, Kay had an accident that put her spine and hips out of alignment causing pain throughout her body. After attending some Pilates classes her condition improved tremendously. This inspired Kay to become a Pilates instructor so that she could share the wonderful benefits she gained to others. She has now been teaching Pilates for over ten years and not only has her pain disappeared, the exercises have improved her strength and flexibility along with the added aesthetical benefit of developing long lean muscles. Eileen graduated from the Head Office in Nagoya and received her certificate at the Kindai Kakko School. Upon graduation she quickly began teaching ikebana at many large companies in Japan. 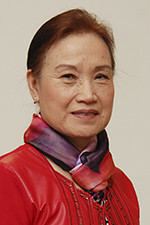 Her teaching continued upon emigration to Canada where she has taught for more than 50 years at various organizations in Toronto. 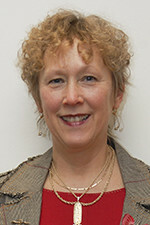 Ruth is an accredited Bronze Life Master with the ACBL and has been a member of the American Bridge Teachers Association (ABTA). She taught Beginner Bridge for the York Region Board of Education in the Night School Programme at Unionville High School and for the past six years has been instructing students on the wonderfully challenging game of Bridge at Momiji. Ruth is a retired elementary teacher bringing decades of educator knowledge, expertise and wisdom to her classes. Rosemary has been teaching and sharing her love of floral design at Momiji for more than ten years. She is an accomplished designer with her work appearing in two international publications. Rosemary has also been recognized with numerous awards and competed at the 11th World Flower Show in Dublin, Ireland. In 2015, Rosemary completed her studies to become an accredited Design Judge. Csilla is a graduate of the Hungarian University of Applied Arts in Budapest, a professional potter, artist crafts person, and expert industrial designer for porcelain. For the past 15 years, she has enthusiastically led numerous classes in ceramics and mixed media at private institutions and organizations throughout the GTA. 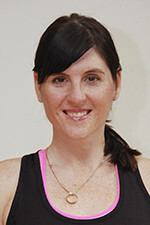 Csilla is also an active instructor for the City of Toronto and The Living Arts Centre in Mississauga. She is currently conducting school and community workshops, as well as summer camps for all age groups. Since 2013, Csilla has shared her expertise and love of clay at Momiji, teaching pottery courses and specialty clay workshops. Originally qualifying as a registered dietitian and after a 32-year career as a secondary school Co-operative Education, Family Studies and Science teacher, Irene now devotes her time to the creative arts. With a B.Sc. (Food Science) and subsequent art studies at Haliburton School of Art, OCAD, Three Schools of Art, Toronto School of Art, and York University, she is able to apply her training and experience to bringing art into everyday life. Making art is about transformation, using observation and imagination; changing flour into cake, wire into jewellery, yarn into scarves, paper into dolls and paint into images. Sachiko emigrated from Japan to Canada in 1981 where she married and started a family in Toronto. Over the course of time, Sachiko’s own children began studying her native Japanese language, which became a catalyst to her growing interest in language and cultural education. 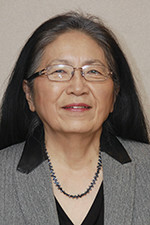 She started teaching Japanese as a heritage language to children with a Japanese background then to children of many different backgrounds as a second or a third language. 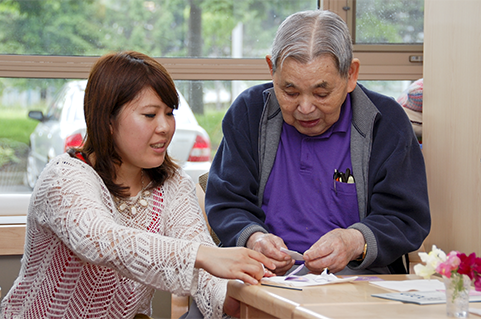 Sachiko’s teaching then expanded to include adults and seniors. 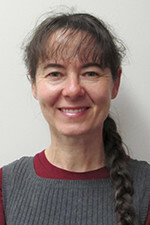 Pauline is a graduate of the University of Toronto and after graduating from Toronto Teachers College, Pauline taught primary grades for East York board of Education and York Board of Education. She began taking bunka shishu classes and later qualified as an instructor. 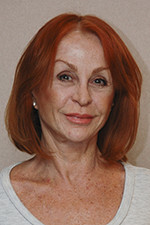 Pauline was presented the Threadartist International’s instructor of the year award in 1987 and received a Master Threadartist diploma in 1989. When Momiji opened in 1992 bunka shishu was the first class offered and since then Pauline has held many shows and competitions at Momiji. After practicing hatha yoga with the guidance of various teachers for 25 years, Anita decided to deepen her own knowledge and practice by enrolling in a yoga teacher training program and became a Certified Yoga teacher in 2003. Anita’s style of teaching focuses on safe alignment and modifications of poses so each student is able to practice at their level of ability and need. Anita’s classes are also light hearted and aim to help students build strength, confidence and flexibility, improve breathing and posture, and release stress. Hiroshi graduated from the Kyoto Industrial Design Institute and Kyoto Japanese Art School in Japan where he studied traditional arts and history, including Nihonga (Japanese Style painting) and Sumi-e (Japanese Brush Painting). Hiroshi studied under Mr. Rokuro Yamamoto, a specialist in Nihonga, and is deeply influenced by the works of Tohaku Hasegawa, an artist from the 16th century. His works have received awards in the graphic art field in Japan, USA, and Canada, including the RuthYamada Award twice from Sumi-e Artist of Canada at Sumi-e. Hiroshi has also had over 30 individual exhibitions in Japan, USA, and Canada.